Over the past two decades, the United States, Mexico and Canada have intensified trade and investment, increased tourism flows and strengthened cooperation. The North American Free Trade Agreement has been instrumental in bringing people and economies closer together in what is today a more competitive and interdependent North American region. Increased prosperity in Mexico has also brought about changes in migration patterns. According to the Pew Center, in the last five years there have been more Mexican immigrants returning to Mexico from the US than those migrating North, largely as a result of job creation in Mexico. While undocumented persons in the US are estimated at 11 million, roughly half of them are Mexican. The new US administration has called for a renegotiation of NAFTA, and a “border tax” to mitigate the US trade deficit with Mexico is on the menu. As a border state and a natural gateway for exchanges between Mexico and the United States, Arizona has benefitted greatly from increased prosperity in the US and in Mexico. The new regional scenario demands a new vision of mutual respect and cooperation, and Arizona’s positive contribution will be key to strengthen our bilateral relationship. Claudia Franco Hijuelos is a career diplomat. She previously served as Consul General of Mexico in Vancouver, British Columbia (2013-2016), Deputy Permanent Representative of Mexico to the OECD in Paris, 2010-2013, and as Minister in charge of Political Affairs at the Mission of Mexico to the European Union, 2007-2010, having contributed to the successful negotiations that led to the Mexico-EU Strategic Partnership. 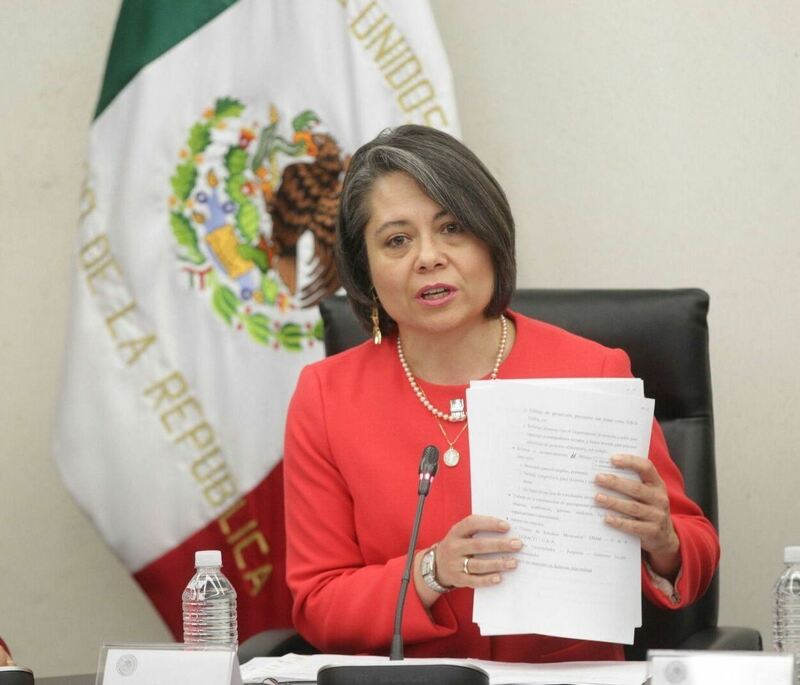 Her experience at the Ministry of Foreign Affairs includes responsibilities as Director of Political Affairs for North America, Advisor to the Minister, and Technical Secretary to the Steering Group of high officials of various government agencies during the process towards Mexico’s membership to the OECD, achieved in 1994. Claudia Franco served as Director for International Labour Policy (1995-1996) and was promoted to Assistant undersecretary for International Affairs at the Ministry of Labour in Mexico (1998). She again served in that capacity from 2000 to 2005. She has taught at several major universities in Mexico, and published specialized articles on Mexican foreign policy topics related to energy, lobbying, civil society and foreign policy, and NAFTA’s Labour side agreement.